Spring is here...and that means my calendar becomes very busy with lots of social events! Yours, too I imagine. It seems to be a busy time of year for many people. 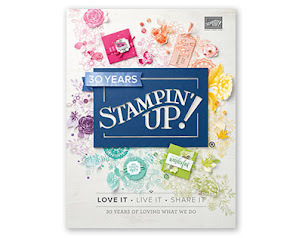 The Stampin Up catalog year is coming to a close on May 31st. That means the retiring list will be out tomorrow! Watch your inboxes tomorrow for an email from me with the list attached. Remember quantities will be while supplies last. If you see a favorite order before it's too late. Tomorrow is the last day for the Weekly Deals. They are being replaced by more infrequent Special Offers which will offer a bigger variety of items at multiple discount levels. The annual catalog will launch on June 1st. Let me know if you want one! I'll be hosting a New Catalog Open House on Saturday June 4th, 12-3pm. Stop by to see new products make a few make n takes! Monday, April 25th, 7-9pm, make 4 wedding cards (2 each of 2 designs); tuition is $10 or free with a minimum order. Monday, May 2nd, 7-9pm, make 4 Mother's Day cards--or turn them into birthday cards!--(2 each of 2 designs); tuition is $10 or free with a minimum order. Saturday May 7th, 4-6pm, Watercolor Wishes kit, make 20 cards (kit includes stamps, ink, envelopes, and storage box); cost is $40; payment to RSVP needed no later than Friday April 24th. Thursday, May 12th, 7-9pm, make 4 Graduation (2 each of 2 designs); tuition is $10 or free with a minimum order. Monday, May 16th, 7-9pm, a fond farewell to retiring stamps, make 4 cards (2 each of 2 designs) theme TBD; tuition is $10 or free with a minimum order. Tuesday May 24th, 7-9pm, make 4 birthday cards (2 each of 2 designs); tuition is $10 or free with a minimum order. Monday June 6th, 7-9pm, make 4 Father's Day--or turn them into masculine Birthday cards--(2 each of 2 designs); tuition is $10 or free with a minimum order. Choose me as your Stampin Up demo when you subscribe (or use the link below to automatically select me) and you get a free crafting night every month. Bring your kit to my house and get your pumpkin on! Pumpkin kit night is held at the end of the month, 7-9pm; the upcoming Pumpkin nights are April 29th, May 31st, June 30th, and July 28th. Click here to subscribe (links to me) and join the fun. But wait, there are more perks for subscribing! Only kit subscribers can purchase kit refills and additional kits (while supplies last). Sign up today! Last chance to take advantage of Weekly Deals! These current sale items are on sale through midnight Monday, April 18th. Click here to go to my online store.